Our ProLite™ mattresses are tailor-made for anyone seeking three-season comfort with a priority on minimal weight, maximum compactness and, of course, quality. Available in XS (245g), small (335g), regular (480g), women's regular (480g) and large (630g). Thickness = 25mm R-Value = 2.2 (women's = 2.8) Ideal uses: Designed for 3-season backpacking, mountaineering, bike camping or boat touring. The luxurious self-inflating LuxuryMap™ uses advanced variable-density pressure mapping technology and innovative die-cut foams to provide comfort and support in all the right places. 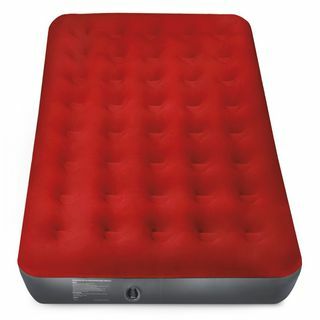 The result is a more even and supportive sleep surface, less tossing and turning with fewer pressure points, and the priceless experience of a more restful night outdoors. Add the soft, stretch-knit fabric top for even greater comfort in base-camping situations and this next-to-skin softness will have you snuggling up and sleeping in! A new and improved stuff sack with easy-carry handle is also included. 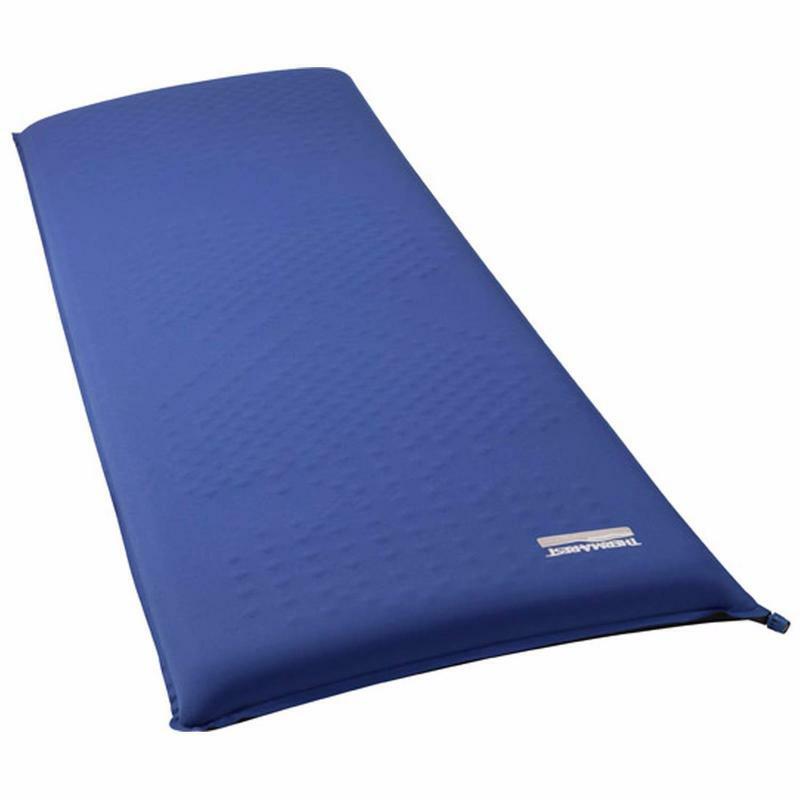 Sleep tight on one of Outdoor Connections “Sleeptight” self inflating mats. 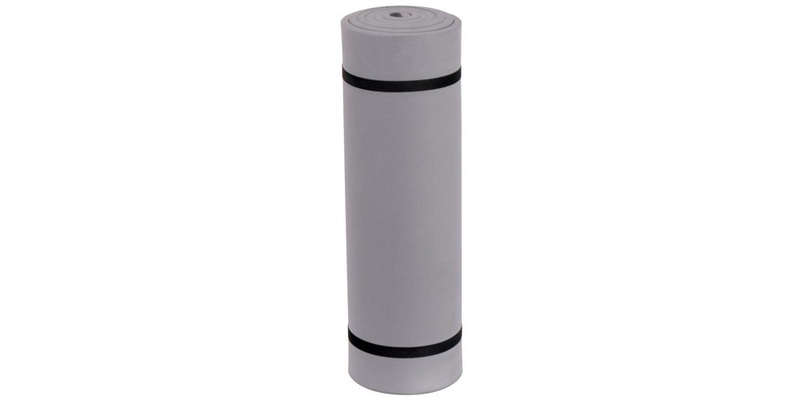 These bonded self-inflating mats are compact and inflate quickly and easily. 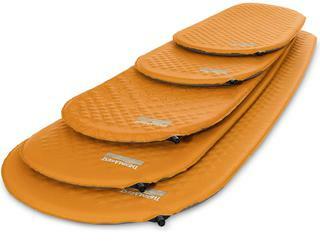 Most importantly they provide insulation from the cold hard ground. 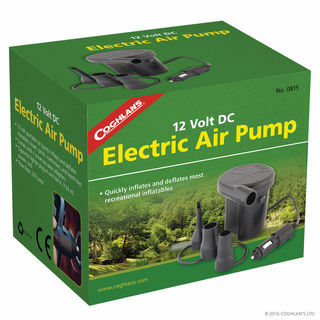 Simply remove from the carry bag provided, unroll and open the valve then just watch as the air is drawn in and the mattress inflates all by itself (don’t forget to close the valve!). 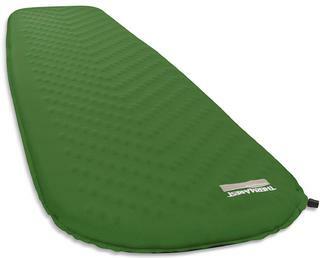 Sleeptight Mats offer many benefits making them a valuable addition to your camping gear. 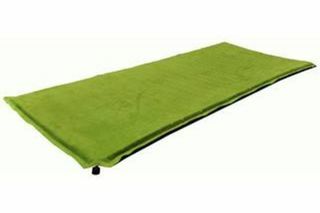 The Micro-suede non slip top is very comfortable and prevents sliding during the night. The range includes Lightweight Short (perfect for hiking trips), Lightweight (full length), Large and Jumbo. All come with a drawstring carry bag and repair kit. Our best combination of comfort and compactness. Stuff sack included. Available in regular (800g) and large (1110g). 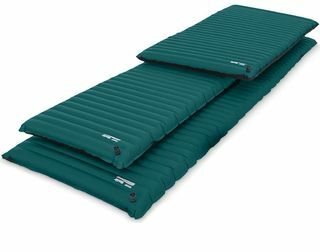 Thickness = 38mm R-Value = 3.4 Ideal uses: Designed for budget-minded campers and backpackers who want one mattress that can do it all. 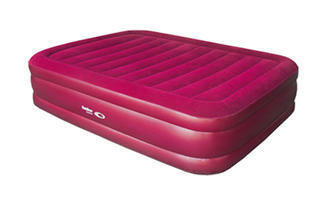 Lightweight, rugged, go-anywhere air mattress. Triangular Core Matrix™ creates over 100 internal cells for stability and ThermaCapture™ technology helps provide ample three-season warmth - without the bulk of added insulation. Available in regular (480g) and large (660g). 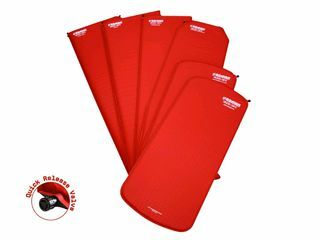 Thickness = 63mm R-Value = 2.0 Ideal uses: Designed for 3-season backpacking, mountaineering, bike camping or anywhere where weight & space are at a premium.